It's time to check your timetable and see whether you got the activity times you wanted. For the next three to five weeks you can login to enter or adjust your activity preferences. Check the closing dates below, as they vary. You should check for any clashes and resolve them. It's a good idea to do this early, as it's first-come, first-serve during the adjustment mode. Login to Allocate+ to enter your class timetable before the closing dates in March (see below). The closing date depends on the faculty managing your course. 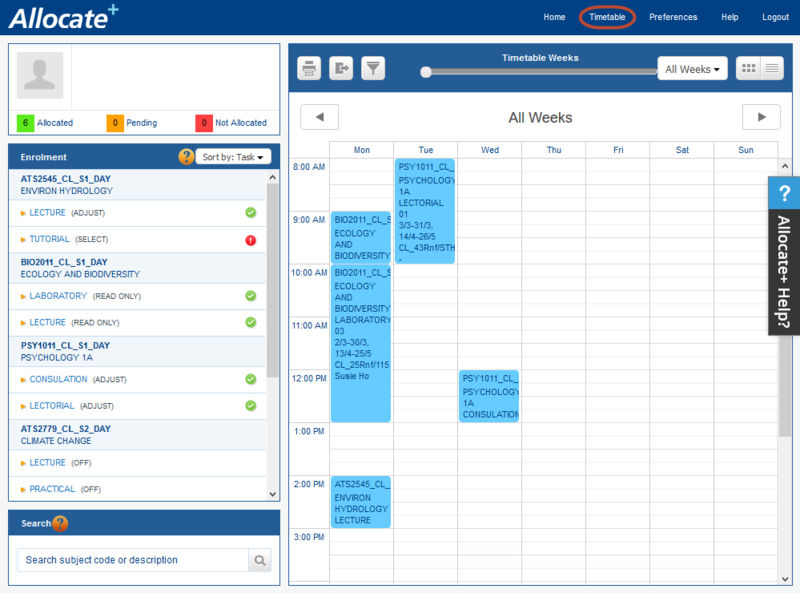 Check your timetable by clicking on Timetable in the menu on the top left of your screen. 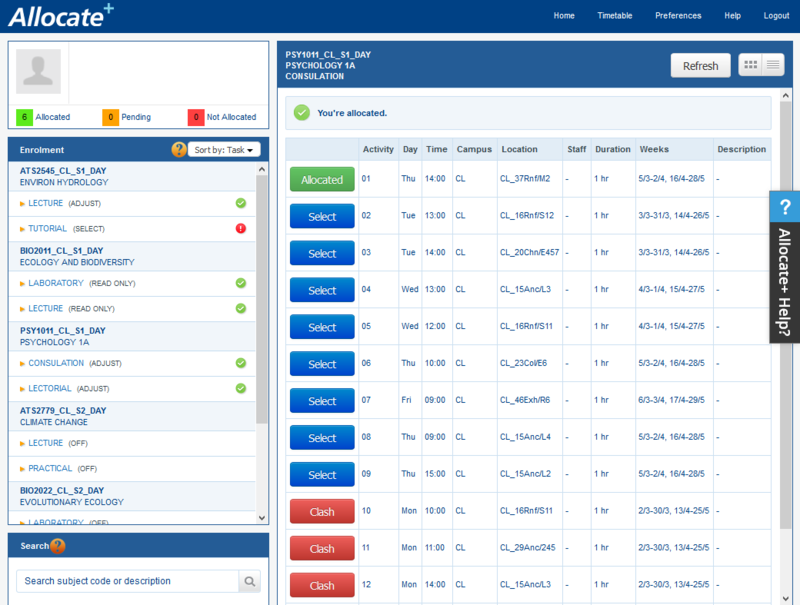 Your units activities (classes) are listed down the left side with their status in brackets. During adjustment mode, you can change any units with a status of (ADJUST). 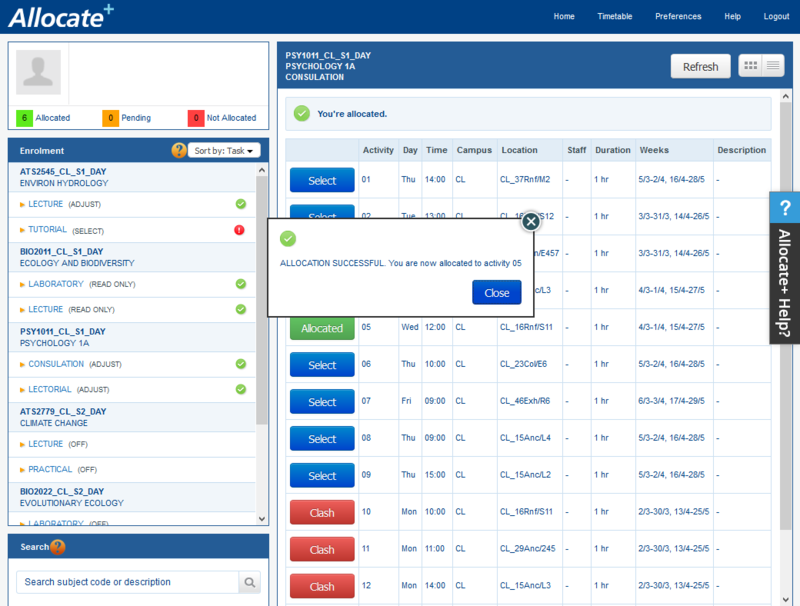 Also check for units with (SELECT) status as these aren't allocated a time and won't appear in your timetable. You need to allocate a timeslot for these. We'll use the Psychology activity, Consulation in this example. Once you click the unit activity, you'll see your options. 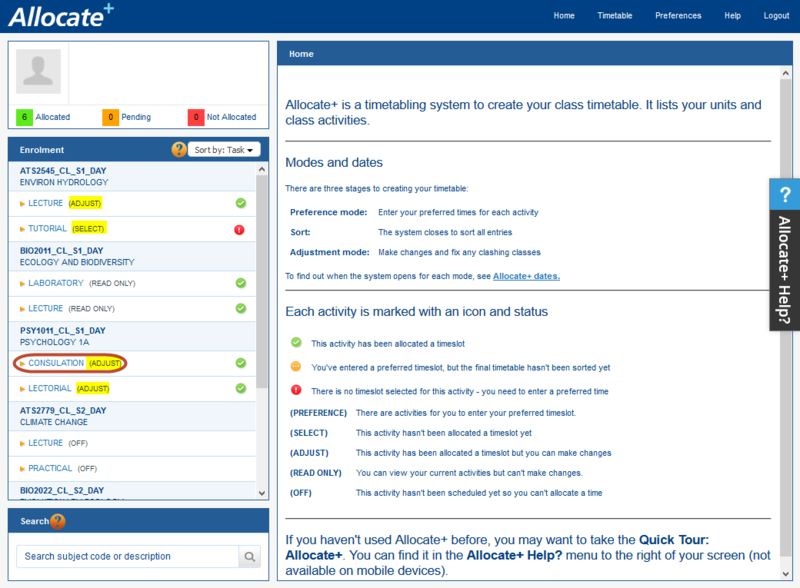 In this example, the green Allocated button shows the current timeslot for this activity. You can change it to any of the timeslots with Select. Any red buttons with Clash indicate the timeslots that you have already chosen for other activities. Warning: Once you select a new timeslot, your old timeslot is up for grabs by other students, so you may not get it back if you change your mind. Once you've made another selection, you'll see a message confirming the change. Your new timeslot will show as Allocated. 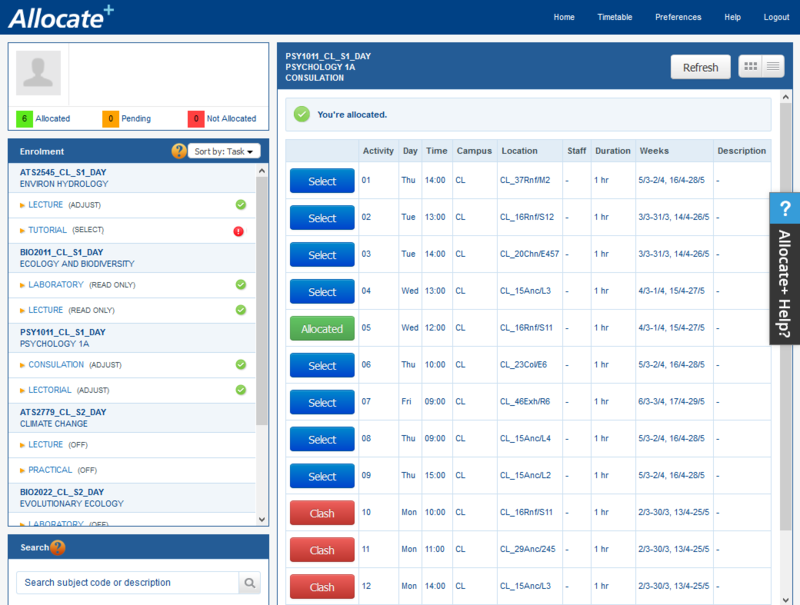 Go through and adjust any activities and make sure you don't have any clashes. If you can't resolve them, see fix timetable problems. You'll find more help in Allocate+ so look out for the Allocate+ Help? tab on the right of the screen.